Starting a new build thread. The Donor is a basket case, eaten from the inside out by rust but it's a one owner NB but definitely regretting not getting a California or Florida car. Treasure Coast Miata has come to the rescue for many parts that I had to discard because of rust, and at very reasonable costs. I'm not going to document tear down but labelling everything on the wiring loom and connectors they attach to seems like very good advice. Rear sub frame and suspension components are shot and associated bolts aren't worth struggling with. A clean replacement wasn't too hard to find. Being a LHD model I've also had to source a RHD front sub frame and steering rack which again is a good thing given the state of the original. Despite the rust, none of the important bolts gave me much trouble, no heat needed to be applied but she lost several pounds of scale from just about everywhere. Replaced all the important engine & trans seals, changed the fluids and applied a shifter rebuilt kit to get back into shape. Andy Carwithen over at ANC Sports Cars supplied me with the kit and had great help locally from Jase over at R. West and Son to get it crated up and ready for its sea leg. I'm not going to bore anyone with breakdown details other than front brakes were rebuildable but I had to drill out and re tap new bleeders. I tried doing the same on the rear calipers but someone got there before me had ended up hardening them to the point where I was breaking taps so I sent in my buggered cores and got rebuilt units. The valve cover cleaned up nicely (notice the state of the intake manifold) but I hesitated filling the lettering and opted instead to cover them with a little door sill trim. A scrub and some black high temp rattle can makes the most of it. The 18 year old coil-overs had broken springs and the struts were shot, not to mention that the rears were not going to come off without a fight given that the bolts were seized solid in the rear subframe. My kit is stuck somewhere on a boat on the eastern seaboard so in the meantime I thought I would share this little gem that might shed some light on my avatar. Aside from being a big fan of the comic books, I have family in France that plays host to racing teams during the 24 Heures and the Le Mans Classic. 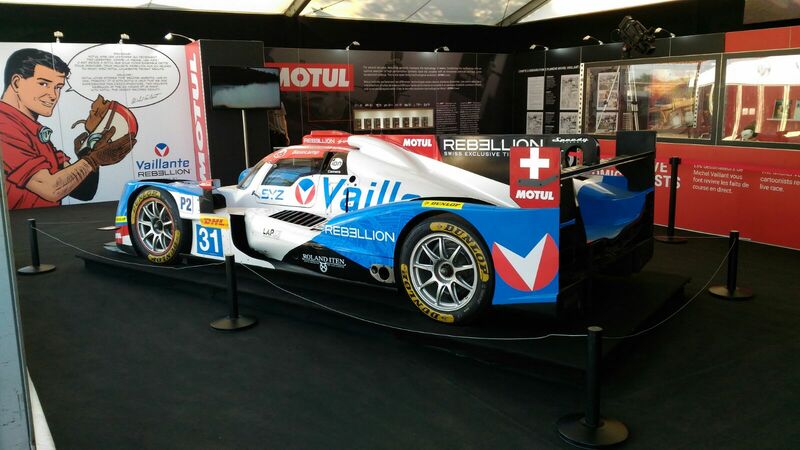 We've had the privilege of having the wonderful guys from Rebellion racing in recent years. Château de Chanteloup by any chance? I see you used a Mk2 as your donor, anything I should look out for as I start my build? Suspension corrosion (its very wet in this part of uk), seized suspension bolts, and what ever you do don't try to undo the bolt through the PPF and Diff, see my thread Derbyshire Replicar. Make sure ALL electrical block connectors are labelled, if you do this you'll be fine, I spent years worrying it wouldn't start when I connected it back up but it started first time. Oh and if you take crankshaft pulley off and strip it down make sure rear plate, with the tangs for the timing sensor, is put back on right way round, if you get this wrong it will never start. Un-crating in a small space was no fun. but she's out and up! Just a quick update as I finish up the power steering delete. I could not find suitable bolts to plug the holes up so I decided to simply cut off the pipes from the existing bolts and tap them so that I could screw in a hex insert. Worked pretty well.